Hey everyone! In a previous tutorial about How to Reply to Comments on Instagram, I showed y’all the swipe left trick on a comment to easily copy/paste the username into your own comment box. 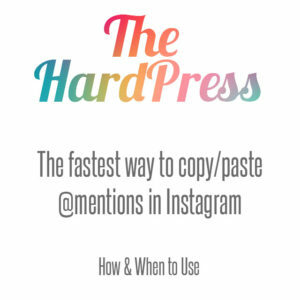 But the lovely Beth from @JustBethWithAJ and @PNWBeth told me about The Hard Press. That’s right folks, it’s NOT a tap, it’s a press and hold. So, instead of swiping left to reveal the arrow key and paste the username in your comment box (and add up to 10 users per comment) you can save even more time by simply using the Hard Press. I admit, it takes a little tiny bit of practice. You’ll probably goof up by tapping too quickly and ending up at the user’s feed, but no big deal, just click back and you’re fine. 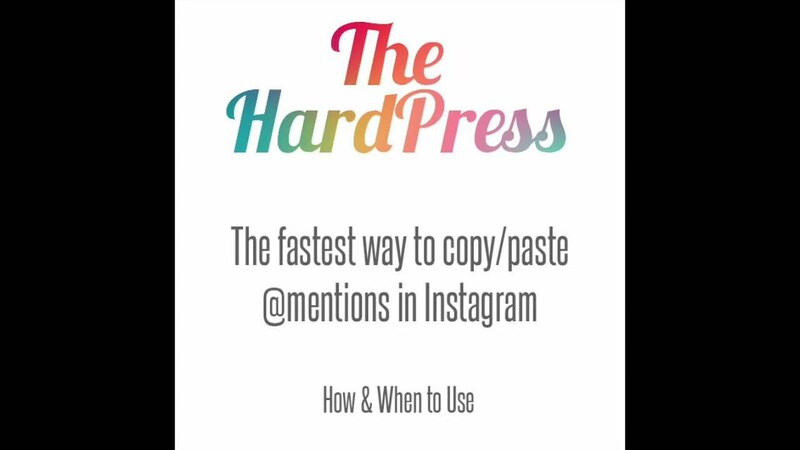 In this video tutorial, I’ll show you how to use the Hard Press and two applications for it. First, in replying to comments on your photos in Instagram, to say thank you. Secondly, as a mod or commenter on hub’s collage, to include multiple users in one comment, without the stress and time of typing it all out on your phone keyboard! I also mention the Text Replacement Hack. This is another super cool time-saving hack. I plan to do a little tutorial just on that, but in the meantime, check out my previous tutorial for step by step How To’s. I hope you’ve enjoyed this little video tuturial. If you’d like to receive updates when I post new tuturials, please sign up for my mailing list.